We are a destination Management Company providing a high standard of overseas residentials for schools worldwide. Global Edventure Travel offers new and exciting opportunities for overseas residentials. We work with each school to plan, prepare and support every trip, from the initial contact to departure from the airport and follow-up on return. Global Edventure Travel is looking forward to welcoming returning and new schools for next season. The company has an experienced, well-tried formula for delivering tailor-made programmes in educational ventures. 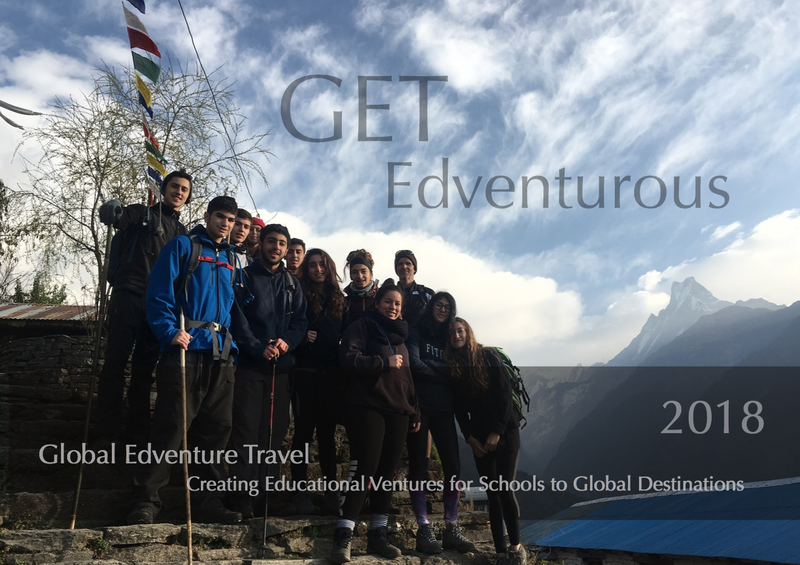 Led by a director who has an educational background of more than 16 years experience in teaching and organising school trips, Global Edventure Travel provides a service that is personal, educational, Edventurous, safe and fun. Our clients are predominantly from the Middle East, Asia and Europe, with our network continually growing. Many of the schools we work with organise several trips annually, each with a different focus and destination. Staff: our staff consists of an experienced and qualified team, providing specific activities and knowledge of destinations. All of our team have a variety of experience working with school groups worldwide, and hold specific qualifications in various activities, allowing us to offer a range of programmes. GET work with reputable in-country operators to ensure the needs of our programmes are met and all groups are supported throughout the duration of each trip. One of our staff will accompany each group 24/7 from arrival to departure to ensure each itinerary runs as smoothly as possible. We aim to remove the issues commonly faced by teachers leading trips on a day-to-day basis, to ensure all participants have an enjoyable, memorable and educational trip. GET are currently expanding to Europe with their Global Edventure Camps Overseas (GECO), following their successful GECO Camps Oman programme. Our base in Europe will be France, where we will be offering both winter and summer camps, in addition to continuing with our other European tours already on offer.